Irina CERNIȘENCU and her colleagues from Danube Delta National Institute for Research (Institutul National de Cercetare-Dezvoltare Delta Dunarii , INCDDD), CERES Project partner have presented projection of changes in productivity of pike-perch (Sander lucioperca) from Razim Lake under climate changes at Delta and Wetlands, the 26th Scientific Symposium, which was held from 16-20 May 2018 in Tulcea. With a surface area of 54,000 ha, the Razim Lake is a great part of the Danube Delta Biosphere Reserve (DDBR). Pike-perch (Sander lucioperca) is one of the main top predators of the fish community and supports important commercial fisheries. INCDDD’s research predicts how climatic change will affect the productivity of pike-perch productivity in this important system by creating temperature-dependent growth curves (von Bertalanffy growth parameters influenced by water temperature) linked to estimates of stock abundance, biomass and Maximum Sustainable Yield (MSY). Based on growth parameters estimated in 2016, the mortality of pike-perch within the lake was estimates using two different IPCC scenarios of warming (RCP 4.5 and RCP 8.5). These data were used as inputs to fish population and biomass modelling (Virtual Population Analysis – VPA). 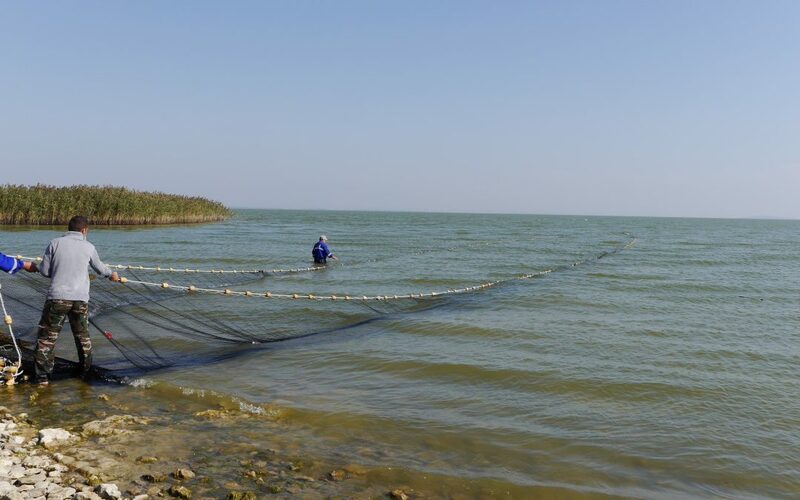 Although complex feedbacks exist within this lake ecosystem which are not taken into account here, the present, relatively simple model suggests that increases in water temperature will increase the natural mortality and decrease the stock biomass of this important fishery resource.